This WP theme boasts a storytelling design that reveals multiple details about your company through seamless scrolling. Your website visitors can learn about your team, services, and works or use a built-in contact form to get in touch you. Your projects can be previewed in a filterable gallery with a tiled image arrangement. The info about your services is complemented with pixel-perfect icons, which allows for better visual organization of your content. As this design company WordPress theme is responsive, your site will have a mobile-friendly interface. Its WPML-ready feature means you can use it in any language. If you want to bring changes to this design, you can easily do it in an intuitive admin panel powered by Cherry Framework 4. WPML readiness can help you translate all the necessary content of your website and appeal to foreign customers. This option will be especially useful for online business. Parallax is the famous internet site design effect, which will make the background as well as the forefront layers transfer at different rates of speed. Via the parallax scrolling effect, you may add the optical illusion of interesting depth to your web page, as a consequence bringing out your information in a more engaging manner. Responsive designs adapt to more compact as well as the much larger screen dimensions mechanically. MotoPress Editor is a good solution for designing internet pages with no need of html coding. It is easily extendable, totally responsive and functions effectively with all WordPress themes. Amateurs are going to be happy. The portfolio is a type of an album, showing examples of your jobs. For an household designer that could be photos of suites he designed, for web-developer, it is a list of web-sites he crafted. The portfolio is really a business presentation of your competencies. It can serve as an individual way of promotion. Any website customer can see your works and projects. It is possible to catch the attention of potential customers and work without intermediaries - users independently should come to you. Bootstrap is an open-source framework for making webpages. Bootstrap allows to make responsive, mobile-first projects without hassle. Retina Ready is a layout that is successfully adapted to high pixel density displays. With the help of retina ready site templates your website page is going to be exhibited adequately even on screens with the highest possible definition. SEO enables to reach the top of search engine results and match the ranking factors necessary for the most common search engines. Thanks to that your website is visible on the web. What do I receive when I order a WordPress template for Design Studio from TemplateMonster.com? After you complete the payment via our secure form you will receive the instructions for downloading the WordPress template for Design Studio . The source files in the download package can vary based on the type of the product you have purchased.If you need unzipping software to open the .zip archive, Windows users may visit www.WinZip.com, Mac users may visit www.StuffIt.com. Is it reasonable to make unique purchase of WordPress template for Design Store that was already purchased before? Yes, it's reasonable to make a unique purchase of WordPress template for Design Store. Because there is very small chance that you will find the same design on the net. There are more than 3,000,000,000 webpages online now according to statistics on www.google.com. How can I modify Design Studio Office WordPress design theme to suit my particular website? Please visit our Online Help Center to obtain detailed instructions on editing Design Studio Office WordPress design theme. Do you provide any scripts with your WordPress designs for Design News or could you do some custom programming? Our templates do not include any additional scripts. Newsletter subscriptions, search fields, forums, image galleries (in HTML versions of Flash products) are inactive. Basic scripts can be easily added to a Design Company WordPress theme at www.TemplateTuning.com If you are not sure that the element you're interested in is active please contact our Support Chat for clarification. 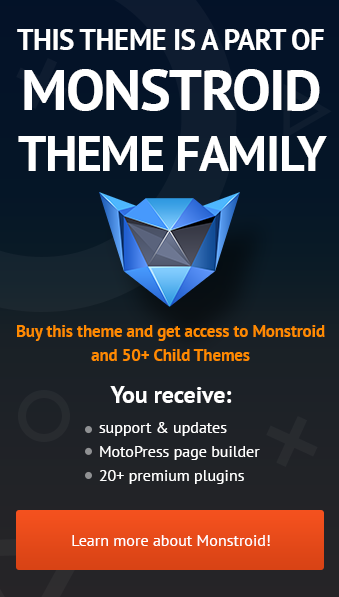 Will the WP theme for Design Supplies be deleted from TemplateMonster database? No, the WP theme for Design Supplies will not be deleted from TemplateMonster database. What will I see instead of the images after installation of the WordPress design theme for Photography? After WordPress design theme for Photography installation you will see blurred images included for demo purposes only. Can I get the extended license for some other pricing than the half of the initial Design Blog WordPress design theme price? No. The price for purchasing license for a single Design Blog WordPress design theme is the half of the template unique price. I have customized the Design Studio Creations WordPress design and would like to protect my content by copyright, can I place Copyright, Mycompanyname.com? After Design Studio Creations WordPress design purchase you can put your copyright to the template. But you cannot place a line at the bottom (or any other spot) of the customized project saying "Website design by Company name". Nevertheless, you can place "Customized by Company name". What is the price for acquiring the extended license for WordPress design theme for Photography? There is no set price for acquiring the extended license. The price is based on the WordPress design theme for Photography's unique price for those templates you would like to use for the integration. The price for purchasing license for a single template is half of the template unique price. Can I contact the Design & Photography WP template author? Yes. You can contact this Design & Photography WP template author/author's team directly using your personal account under the Support tab. Can I use graphics from Photography WordPress design I purchased for use in printing? Yes, it's not prohibited to use the Photography WordPress design graphics for printed material, but the resolution of the templates graphics ( except for logo templates) is not enough for printing. Can I resell the WordPress design theme for Design Blog as is? No, you cannot resell the WordPress design theme for Design Blog as is. In what cases I don't need the extended license for WordPress themes for Creative Design Agency? Can I resell the customized WordPress theme for Graphic Designing Studio? No, you cannot resell the customized WordPress theme for Graphic Designing Studio as a template but you may sell it as a project to your client (see paragraph 1 ONE TIME USAGE LICENSE for more details). How many applications, programs etc can I use to integrate with the Design Firm WordPress templates under one extended license? The extended license gives you the right to use the purchased Design Firm WordPress templates for the integration with one software/freeware/application/CMS/sitebuilder only. In case you would like to use the template with the other application, the other license is to be acquired. Are your WP themes for Design Storecompatible with any CMS? Will TemplateMonster help me to edit my Design Studio Office WordPress design theme? TemplateMonster offers you a variety of sources to help you with your Design Studio Office WordPress design theme. Use our comprehensive Online Help Center to get the basic knowledge about your Design Studio Office WordPress design theme. Our Knowledgebase contains customers questions and most frequent problems. Anyway, you can always use TemplateMonster 24/7 phone support, try our Ticket System or Live Support Chat to get qualified assistance from our support representatives. Is it possible to use your WordPress templates for Studio Designer to develop websites for my customers? Yes. It is perfect for designers who want to offer their customers a high-quality design and also save time and money. Keep in mind that when you purchase the WordPress design theme for Design Company with ordinary or exclusive license you're entitled to create only one project (one domain name). What is Extended License for Designer WP template? I ordered a WordPress design for Design Firm but haven't received the download information. In case of not receiving the download information of a WordPress design for Design Firm, please contact our Billing Department via support chat by phone or e-mail. What is Developers License for Design & Photography WP template? If you purchase a Developer's license, you are granted a non-exclusive permission to use the Design & Photography WP template on up to 5 domains for projects belonging to either you or your client. What is a one time usage license for a Design Firm WordPress design theme? When you buy the Design Firm WordPress design theme at usual price you automatically get the one time usage license. It enables you to use each individual product on a single website only, belonging to either you or your client. You have to purchase the same template again if you plan to use the same design in connection with another or other projects. When passing files to your client please delete the template files from your computer. I would like to purchase WP theme for Design Studio Office , but it is not available on the site anymore. The WP theme for Design Studio Office has been sold out for exclusive price or discontinued.As technology inevitably develops, TemplateMonster may discontinue the production of certain products. It can be no longer available for sale because of being outdated. What is a unique purchase license for WP theme for Design Shop? If you purchase the product at a â€˜Unique price' it guarantees that you are the first and the last person to buy this WP theme for Design Shop from us. It means that this template has not been sold before and you become an owner of a unique design. After this kind of purchase the template is being permanently removed from our sales directory and is never available to other customers again. The unique purchase license allows you to develop the unlimited number of projects based on this template, but the template should be customized differently for every project.